Belmond Las Casitas, a 20-room property located in the Arequipa region of Southern Peru is set amongst the tranquil beauty of the Andes. Blending effortlessly with the natural environment, the intimate hotel fully matches with Belmond’s brand personality - authentic escapes that relate to nature, culture and wellbeing. Executive Chef, Diego Muñoz, takes guests on a culinary journey of discovery with dishes prepared using Peru’s abundant natural ingredients. From traditional corn with cheese, to alpaca tortellini and a mouthwatering creation of lime with melted chocolate and apple custard. 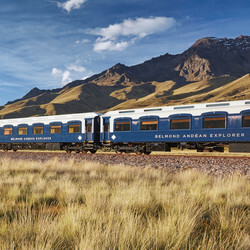 For a culinary experience to savour, chef will host a ceviche class set against the backdrop of rolling Andes alongside the train. 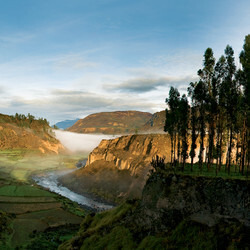 For further information please visit www.belmond.com or call 0845 0772 222. By downloading these images you agree to our terms & conditions for usage and distribution.